This is the lovely view across the bay at La Herradura (which is the Spanish word for horseshoe). Don’t forget, there are only two days left to get your entries in for this month’s CBBH Photo Challenge: MULTI-COLOURED. New challenge starts on Wednesday! This entry was tagged Andalucía, CBBH Photo Challenge, East of Malaga, Europe, Malaga, photography, Spain, travel, Travel theme, weekly image of life, Weekly Photo challenge. Bookmark the permalink. Hmmm … I know what you mean! I think it’s the dome on the building that does it. This photo is stunning! Color, composition, light, mood, EVERYTHING is perfect! First of all, congratulations on receiving your first award which, of course, is thoroughly well deserved. Well done! I´m honoured that you should think of me to nominate for the WordPress Family Award, and I shall display it with pride on my Recognition page. Wow! I can stay here forever. Beautiful place. Thanks. Thanks for the comment, IT. One of my favourite beaches! Gorgeous view, Marianne! Love the colors, composition, and the perspective of the picture. If I could picture paradise, this would be it! Simply wonderful photo. I am now officially day dreaming! It’s beautiful and i could happily while away a few days there! And I’m sure you would love it, Gilly! That’s definitely a view, Marianne! Have a great time in Poland (and Portugal). wow what a views, and then some more! I so want to be there right now… an awful morning in Toledo, rainy and less than ten degrees. We’re so … hartisimos. Love that shot!!! We are still surrounded by browns, whites and dull grey skies!! OHHH … but I’m sure you wont have long to wait for sunny skies, Lisa. Glad you like it, Alec. Thanks for always supporting my blog, Sonel – much appreciated. Hugs. I don’t know where this is but I want to be there! 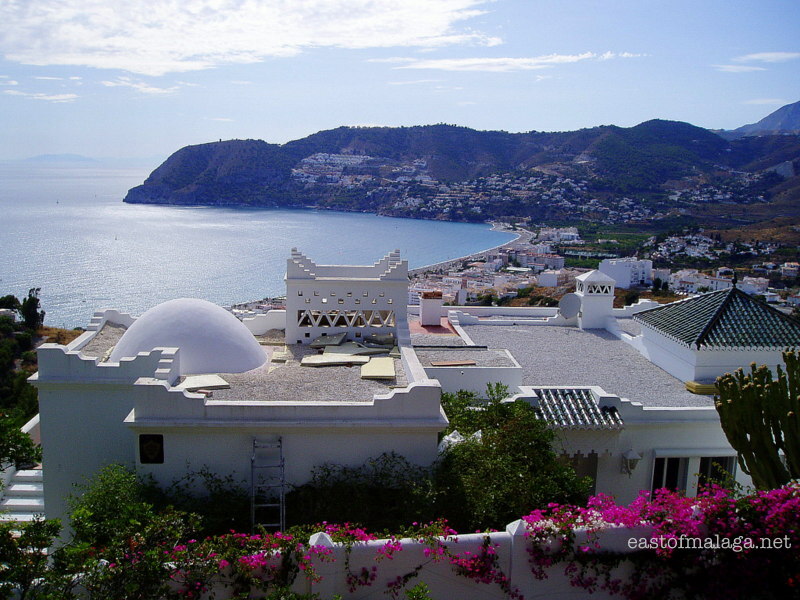 La Herradura is about twenty kilometres further east of where I live in Malaga province. The bay is actually in Granada province (the one next to Malaga province) – about 70 kilometres east of Malaga city on the southern coast of Spain.